Today I'm sharing a Mixed Media Card Tutorial using using the eBrush, along with products from Bella BLVD, Sharpie Markers and a Julie Nutting Doll Stamp. 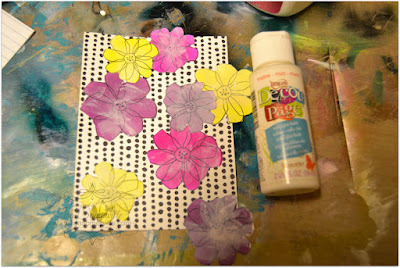 Using scissors, cut the flowers from the Just Add Color paper collection that you would like to add color to. 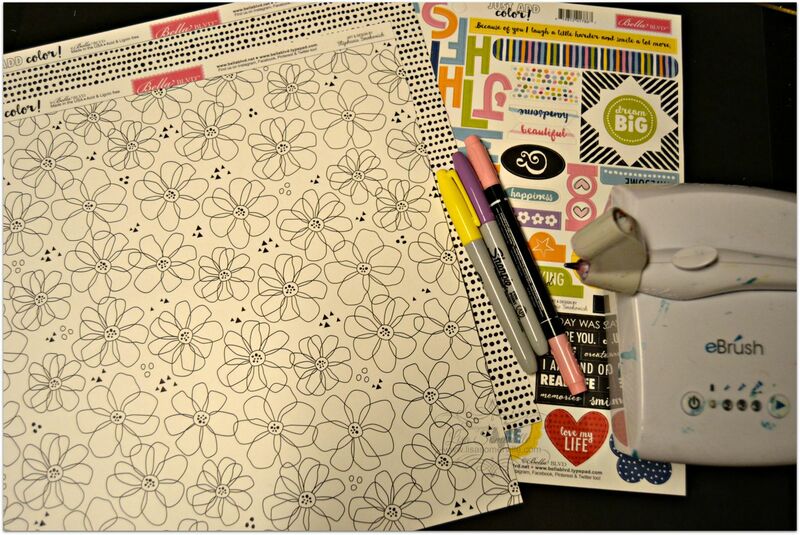 Place the flowers onto a Silhouette Mat so that they don't move when you add the color. 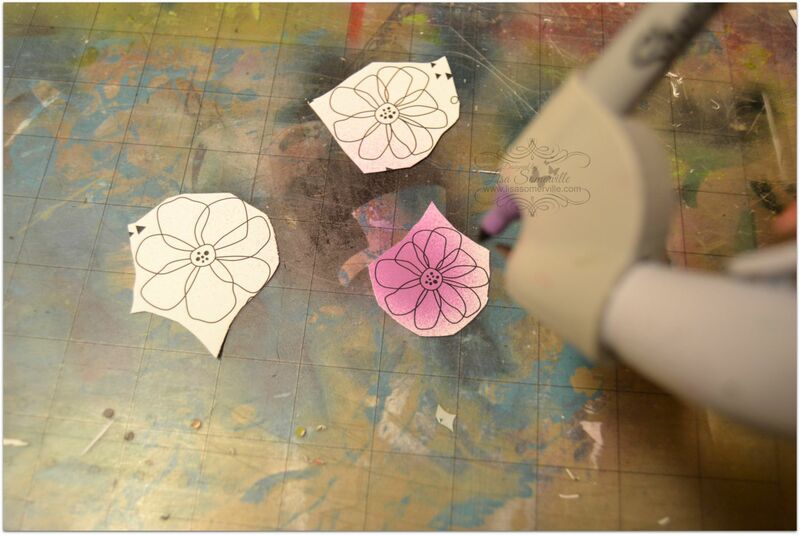 Then using the eBrush, SP-01 Adapter and Sharpie Markers add color to the flowers. 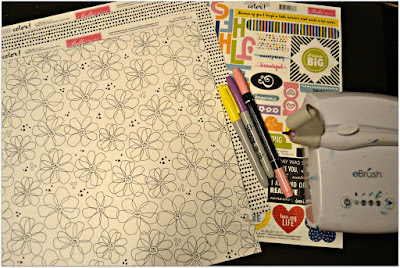 Repeat with additional colors until you have all your flowers colored. 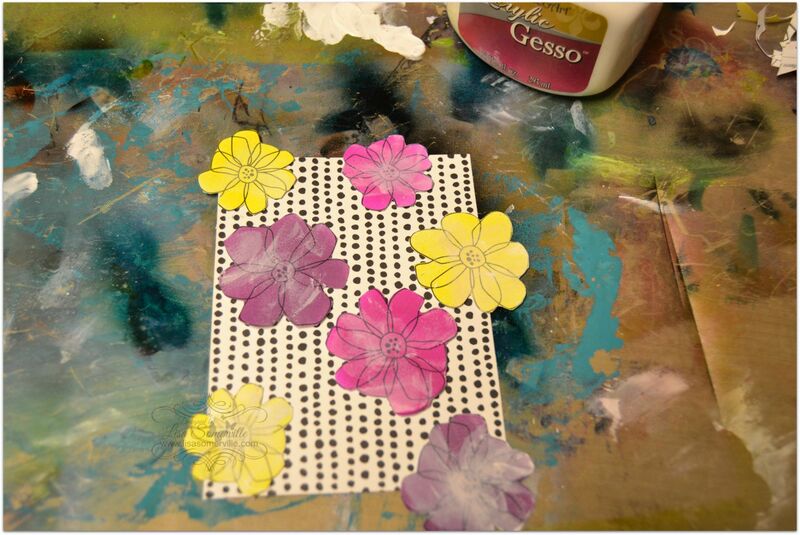 Using your fingers, apply Gesso to flowers to tone down the colors. 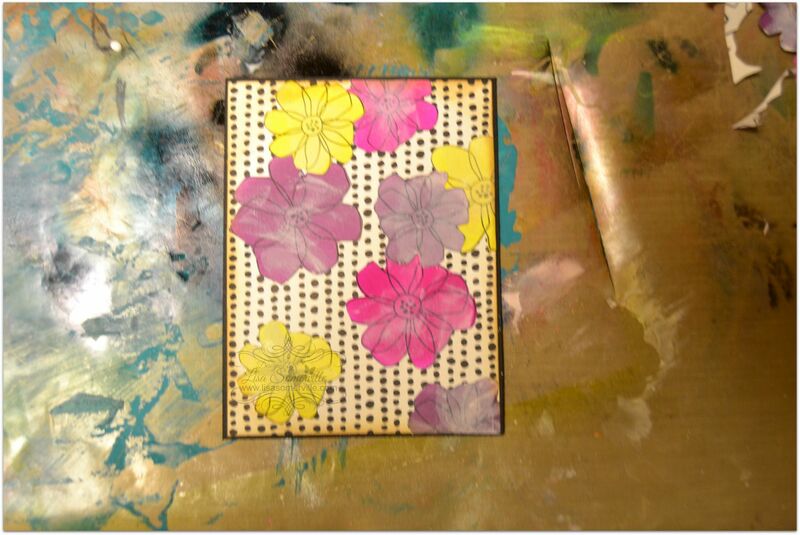 Lay onto pattern paper to find placement. 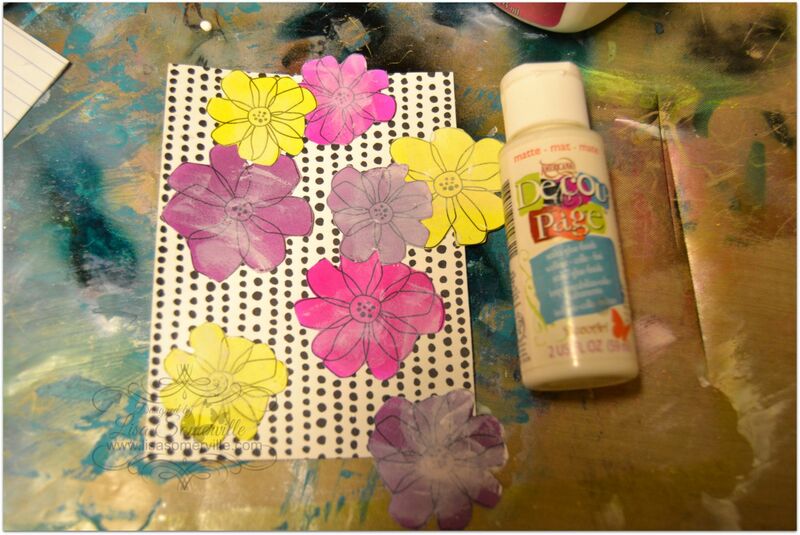 Once you are happy with placement of your flowers, adhere with Decou-Page. Trim excess flower petals from edges, layer onto card panel, use as desired. 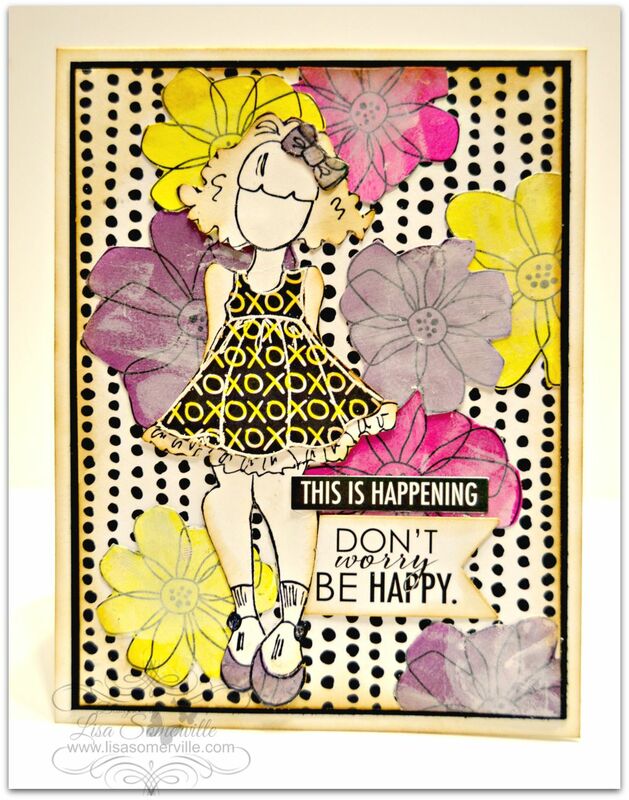 To finish my card, I stamped the Julie Nutting Doll image onto White card stock, then paper pieced her dress with Bella BLVD Just Add Color Daily Details pattern paper. As you can see, I used the eBrush to add color to the pattern paper. The shoes and bow were paper pieced from the flower scraps. 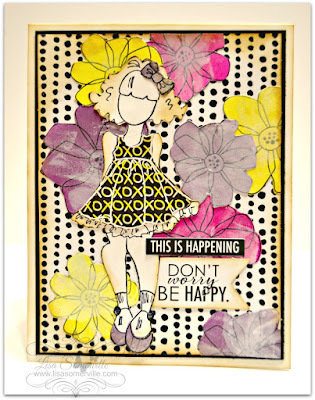 The sentiments are from the Bella BLVD Just Add Color Trinkets Black and White Stickers Collection.